Change, an abstract word that describes more than just the physical evolution of people or our world. Change is a premonition to an ever distorted visual image that we are not permitted to even see but are granted to experience and affect. We can affect the course of change in our favour either for good or bad. We create an affected course of change with the insistence of an outcome without true knowledge of it. In doing so we stay steadfast in faith that what we have done will lead to the exact result to what we had wished for. Recently I had been gifted with a prime opportunity to be seated among multiple young, bright and innovative minds that have “created” change in our community. In addition I was blessed a role of internship under the current Head Curator, Jumoke Adekeye. During the inauguration of the new Head and Deputy Curators I had unravelled new perspectives. Being in that room taught me things very important, that a number of people can share the same course of change. That it takes more than just talking to affect the course of change. Finally, that there is alot that can be done to change our society. The recurring fact that sits atop every major historical event that brought about change in our society all stemmed from somewhat of a standardized template. A template fixated on one person who decides to affect the course of change to their favour and others who either try to help or just experience the change. Examples stretch from Martin Luther King to Malcolm X to Mahatma Gandhi and so forth. These examples also lack what I had previously witnessed in the inaugural room, diversity. In opposition to these historical monarchs that had shaped yesterday paving way for new ideals today. The Global Shapers Hub is a collection of different ideals from different people summarized as one. Understanding the needs from each of their perspective areas and coming together to resolve them. During the inaugural speech Ms Jumoke Adekeye had stated that “[The] vision in the Abuja Hub is to build our capacity to solve the problems that confront us as individuals, as a community, in our nation Nigeria.” Further insisting that “There is no challenge that we cannot overcome if we have the capacity” and listening to all the ideas that were brought or are being brought to fruition, I know without a doubt we have the capacity. From Ms. Jumoke’s speech never once had she purely singled out herself but made consistent use of the pronouns “we” and “us”. Recognizing that as a collective we can bring about a more effective change to create a greater tomorrow by raising each other up. 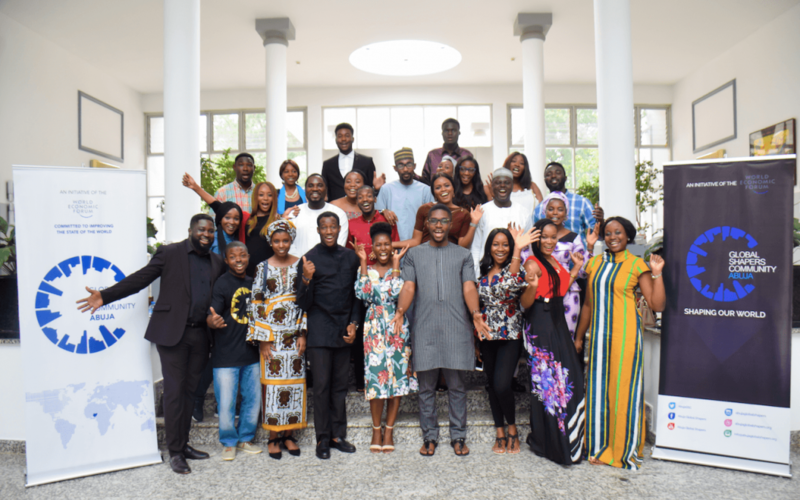 This presents a new generational growth that has been embodied in The Global Shapers Abuja Hub. An organization that doesn’t abide by the repeated template and is blessed with a gifted ability not only to affect change but to see past its common distortion as our society grows.